It wasn’t easy procuring this road atlas and guide as it wasn’t available on Amazon nor was it available in any of the bookstores in the United States that we were aware of. So I actually had to order a copy of this thick book direct from a retailer in Australia that I stumbled upon online. And given all the import taxes and shipping costs, it turned out to be a pretty expensive buy. Yet having said that, it was also one of the wisest investments that I had made when it came to researching for our multiple trips to Australia in both 2006 and 2008. 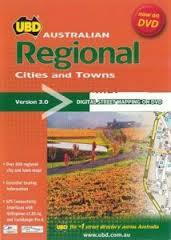 What I really liked about this thick book (we used Explore Australia 2006 though it looks like they’re up to Explore Australia 2015 as of this writing) was its thoroughness in covering every possible regional town throughout the country over all of its states. So even though the book was chock full of very brief descriptions and name droppings of various sights within the vicinity of a given regional town or city, it served as a starting point of my trip research so I could delve a little deeper when I came across something interesting (especially waterfalls). If you think we have pretty good information on our Australia web pages, then credit will have to go to the information we obtained from this book during the course of our trip planning. Indeed, most of the waterfalls we came across would otherwise not be known strictly by Google searching (how would you even know what to search on if you didn’t know the place names in the first place?) or from relying on established general guide books like LP and DK. There were also pictures throughout this guide though most of them didn’t include some of the more interesting natural attractions we were seeking out, including waterfalls. There were also road-atlas-like maps at the end of the book making this a pretty useful resource if we didn’t have the ability to electronically have a map of the country to perform research as well as navigation with. I’m not certain if this is true or not, but I was always under the impression that the Lonely Planet guides were somehow started in Australia. If true, then I guess it would be fitting that they did a pretty good job with the Australia guidebook, which was a comprehensive (albeit very heavy and thick) guide of the entire continent. 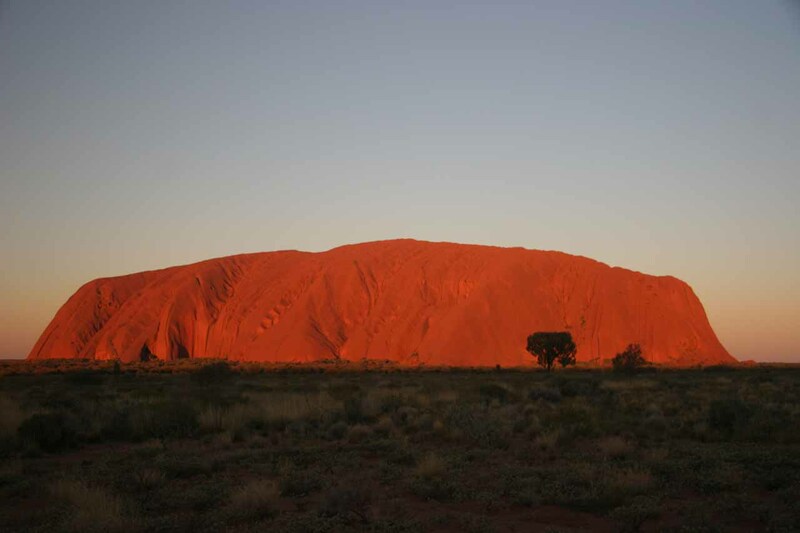 I enjoyed reading the background information concerning the country’s history and culture, and it also seemed to talk about everything there was to talk about concerning what there was to see and do throughout Australia. So far, we still have the 2004 edition of the big thick guidebook, and we continued using it for both our 2006 trips as well as our 2008 trip. Sure most of the restaurant information ended up being outdated, but the main sightseeing things were still relevant. In our edition, they had plenty of color photos though in their conscious effort to provide loads of information over pictures, the guide was dominated by text. So unless you’ve been there before, trying to envision what’s worth doing just by reading the descriptions would be a stretch. So even though it was one of my primary sources of research before our trips, its effectiveness was limited and needed supplementation from the internet. As usual, the maps were fairly well keyed and tied in with the text so we could at least get a sense of where things were even before we ended up getting map software to further help with locations and orientation. So all in all, we thought this version of LP was above average and certainly a crutch that we brought along despite its bulkiness and weight. 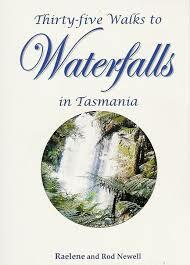 This was a handy little guidebook that we stumbled upon and picked up while touring Tasmania in November 2006. Sharing the frustration of the authors who had to really time their visits to even have enough content for this book to be published, we also faced some drought conditions so many of the otherwise gushing waterfalls in lush Tasmania were lacking in flow even though we were there in the Spring. 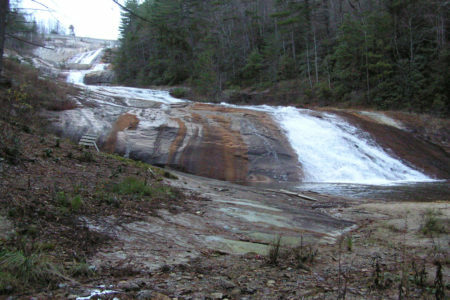 As far as this book was concerned, it was a humble self-published book that went through several different waterfall walks and adventures as the title of the book suggested. We actually consulted this guidebook to get a little more information or confirmation about some of our pre-trip itinerary choices for our tour of Tasmania. 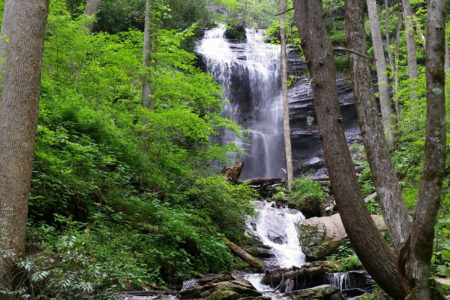 We could tell the book was pretty amateur in that there were blurry photos, but there was at least one photo for each of the waterfalls discussed in this book. Some of the hikes in this book seemed to be a bit on the really rugged side. The fact that this was a husband and wife team that made this book made me wonder just how they were able to pull off some of the hikes given the bit of adventure that Julie and I had to go to in order to even get to Adamsons Falls in the south of Tassie. As far as the coverage of the book, it primarily focused on the southern and eastern sections of the state. 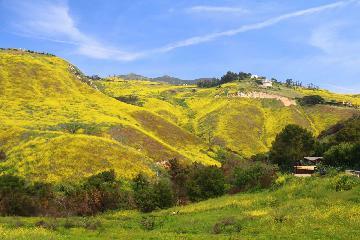 There wasn’t a whole lot in the way of the western side of the state as well as the northwestern side. So there wasn’t anything in the western side of the Tasmanian Wilderness, nothing concerning Cradle Mountain, and anything further to the northwest of there. So the title of the book should probably have indicated that it was more about southern and eastern Tassie, and considering we paid about $25 AUD for it, it seemed to be a pretty steep price to pay given we were more used to full coverage for that price. All things considered, we thought this was a useful guide, and I can foresee myself using this book for further trip research if we’re ever fortunate to re-visit Tassie again. The NATMAP Raster DVD was at the time our main mapping information for all of Australia prior to our Winter 2006 trip as well as our late Spring 2006 trip. All this software consisted of was a series of 1:250k scale topographic maps of the entire country all concatenated together. Navigating through the tool seemed to be a bit of a non-trivial affair as it somehow wasn’t as intuitive in terms of scrolling and zooming as I had hoped. On top of that, I wasn’t sure if we were able to zoom in to even smaller scales through some kind of online connection. At least I swore that was the case when we were first using the tool way back in 2006. However, recently when I tried to use the software in 2014, I found that all the maps were very coarse scale and for some reason, I was no longer able to zoom in deeper to the level of trails and landmarks that I was once able to access. It’s for that reason that I think we were able to go deeper than 1:250k scale because of this online connection unbeknownst to me. As a result, this map has lost its effectiveness over the years (mainly since I was no longer able to get to the deeper scales). When I was able to do zoom into finer scales 8 years ago, I actually went through the laborious task of screen capturing then calibrating each screen capture of NATMAP Raster onto a navigation software like Memory Map. It was very time consuming, but I ultimately was able to re-create all of our regions of interest in the Northern Territory, Western Australia, New South Wales, Victoria, South Australia, and Tasmania. Just for kicks, I also did it for Queensland though by then, we managed to use MapSource, which alleviated all of this trouble. We got into some trouble navigating this way given the error in the exact locations versus the map overlay. So in a couple of cases, we unnecessarily got lost looking for a waterfall. Serpentine Falls near Jarrahdale came to mind in this regard. Also Lesmurdie Falls wasn’t working out using this method of navigation as well, and we actually had to use UBD electronic road atlases, which I’ll review later. So that brings me to the ultimate weakness of this software. The lack of navigation and trip logging was its real weak spot. It also didn’t help that this tool was very unstable and prone to crashing a lot. Sure it was good for trip research with enough persistence and patience and functionality (until recently), but without that full functionality, all it was good for was basic map information and little else. I’m sure Geoscience Australia’s charter is not to be another Garmin or TomTom so they really can’t be at fault for that, but as an objective consumer using the product, its effectiveness was what it was. It was too bad we didn’t have those alternate tools available to us prior to our 2006 trips to Oz, and we had no choice but to go with our kludgy solution, which worked for the most part, but was a real pain to assemble and use. Still, their land survey information I’m sure served as the basis for all products that would follow, and for that, the work involved to map out all of the country for recreational use was certainly appreciated. This tool was really nothing more than an electronic version of a road atlas in book form. Although we were able to scroll through and search for place names, it lacked the functionality of navigation and trip logging. It was said that this product was to work with OziExplorer or Track Ranger or some other navigational software, but since we were using Garmin GPS’ at the time and there wasn’t a MapSource products at the time, we were pretty much stuck with consulting this tool awkwardly in front of our laptop while we were in the field. 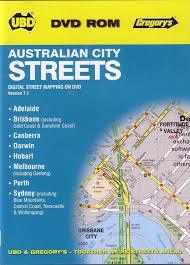 Using this product actually helped us out when we were looking to navigate some streets in regional parts of Australia as they provide good detail of street names and were pretty up-to-date as of the time we used it. In fact, I think by consulting this product, we were ultimately able to figure out our mistake in trying to find Serpentine Falls after our kludgy Memory Map solution led us astray. As far as the City Streets solution, we actually used it to navigate through the maze of city streets to figure out how to get to Lesmurdie Falls, which was well within the Perth Suburbs. So here we had a case of the right product for the right time, but we had to overcome the navigational and software shortcomings to glean its benefits. So in summary, without the functionality of navigation and trip logging, its effectiveness was just as limited as NATMAP Raster. So I gave these products and average rating. This book was similar in thickness and size to our Explore Australia Road Atlas, except this guide focused more on specific road trips sprinkled throughout the continent of Australia. There were about 35 road trips inside this guide, and they each had maps, info boom boxes, lots of text descriptions, and a few photos. I tried to glean some useful information from these road trips by ascertaining just how long some of the distances I was going to cover would take in our own custom itinerary. This was especially important given the vast distances of driving out and about in Australia (after all, it’s roughly the same size as the Continental United States). So from working with this partial information that somewhat coincided with our own itinerary, it turned out to be a pretty useful resource for our trip planning. Its use for in-the-field travel was limited so we opted to save weight and leave it at home. Another useful thing about this guide was that it did feature quite a few waterfalls that we would end up seeing. 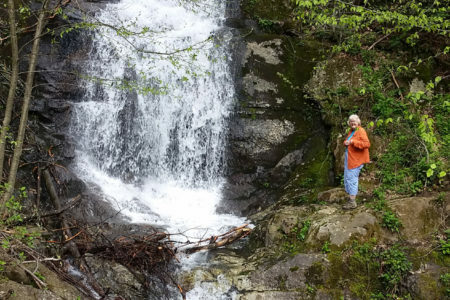 So it helped to supplement some of my existing research on the waterfalls we were targeting, and it further reinforced or refuted whether to include them on our itinerary. All in all, it was a useful guide for trip research, but its bulkiness made it something not terribly practical for in-the-field use especially in light of other products we’d ultimately be exposed to that didn’t suffer from the penalty of adding to our travel weight. Although the link above is for a more updated version that also includes New Zealand, we actually purchased the Australia-specific version (2007-2008) of this software that was used heavily for both our trip research as well as our in-the-field navigation during our 2008 visit to Australia’s east coast from Sydney to Cairns. It was very important that we managed to finally get our hands on this product because we were now able to use the software’s full functionality to aid in navigation as well as to gauge distances and drive times for our trip planning research. In terms of coverage, the map definitely had adequate street and road information to aid in navigation, but I had to add waypoints myself in order to help with navigating to specific custom waypoint locations like waterfalls and points of interest. So there was a bit of homework on my part to populate our trip maps to be useful in the field and in pre-trip research, but at least I had a tool that made it pretty easy and straightforward to translate my locational research onto an integrated map without having to do some kludgy mechanics like getting NATMAP Raster and Memory Map to work together. So since this product pretty much trumped all the other map products that we had used to this point, I gave it a high score. And if we’re fortunate to return to Australia, we wouldn’t hesitate to use this product again for both pre-trip research and navigation as long as roaming charges keep Smart Phone navigation internationally from being feasible, and we can continue trip logging Garmin Nuvi tracks and waypoints into MapSource for offline post processing on our computer. The only real downside to the Australian product is that if I was to update the map to the latest year, I would have to pay Garmin about $100 for the latest files. Unlike the North America version of this software, the latest maps are not included in the purchase price. So this can really add up if we were sticklers for updating the map prior to a future trip. This spiral bound guidebook caught Julie’s eye because it’s full of color photographs and focuses only on the “main tourist highlights” throughout the country. I didn’t really use this book so much for trip planning, but I did read through it and glanced the photos to get oriented with whatever part of the country we’d focus on for an upcoming trip before diving into the heavy-hitters LP and EA. This book is also published by the same company that seems to be synonymous with Road Atlases in Australia so they’re no strangers to guiding travelers throughout the country. We bought the book while at a local Angus & Robertson store during our travels. It seems like Amazon and other retail American carriers aren’t likely to have this one in stock as the link from Amazon that I provided links to an outdated version of this book. Basically, I’d chalk this up to a spontaneous purchase by Julie, but because the photos were helpful and made it compelling for me to flip through the book, I gave it a middle-of-the-road rating. Maybe on a future trip to Oz, we might have greater use for this book, in which case I’d increase the score if we find it is more helpful for our trip research at that time than some of our de facto resources like LP or even Explore Australia. My intent for buying this region-specific guide while book browsing in Sydney was to get a little more information about possibly extending our stay in the Blue Mountains area for the purposes of chasing some of the more hidden waterfalls that were deeper down the escarpment rather than just staying exclusively at the top of them. On our first visit to the Blue Mountains, we had some trouble with the weather that conspired to block views with clouds while also causing the closure of several of the trails. So we didn’t get a chance to use it then. Meanwhile, on our return trip to the Blue Mountains in 2008, we faced better weather, but we didn’t have the time to go down into the escarpment as we were on a tight schedule and we were aiming to go north towards Queensland as opposed to lingering around the area west of Sydney like before. In any case, the book contained good descriptions of specific car tours and hikes (and even cycle tours) in the Blue Mountains areas complete with maps, photographs (especially those that help paint a picture of the elevation gain/loss that we would be facing had we chosen to partake in the excursions), and some route facts. So I have no doubt this guide would be useful if we were to explore the Blue Mountains more deeply than before, and we hope to have the opportunity to do just that on a future visit to Oz.